Changing our lifestyle, which means our diet and the amount of physical exercising we do daily or the lack of it, is a must when looking to lose weight. But, besides making these changes, there are other things we can use to speed up the process and help our body cope better with the change. One of these things can be turmeric, a fantastic spice that gives food a bright yellow color and a gorgeous flavor and aroma. What many people don’t know is that turmeric can be used when dieting, as it aids in reaching the desired goals faster. If you are wondering about turmeric benefits for weight loss, you should take a look below and see how this spice can help you achieve the ideal body weight. Turmeric comes from the root of a plant, known as Curcuma Longa, being not just a much-appreciated spice, but also an ingredient for various cosmetics and beauty treatments. It is so valuable due to its content of curcuminoids, which are bioactive components that naturally occur in the plant. Besides this, turmeric is an excellent source of vitamin C, B, linoleic acid, omega-3 fatty acid, potassium, sodium, fibers, and even proteins. Thus, it will be a great addition to your weight loss diet from all points of view. So, how can this particular root help us get rid of fat fast and easy? By simply consuming turmeric, the fat melting process will be accelerated while the spice prevents the accumulation of more fat. Curcumin is responsible for these particular effects, which makes turmeric a great ally in weight loss. As mentioned before, an adequate, healthy, and balanced diet is a must if you want to lose weight and maintain the ideal weight for a long term. Turmeric is a great food for weight loss. If you add turmeric to this diet, its benefits will be increased. In other words, this spice will make your diet more useful, so you’ll end up losing even more weight by controlling what you eat and paying attention to your calorie intake. This effect was also proved with the help of a study on overweighed people. They all had to start following a healthier lifestyle and an adequate diet plan that was going to help them reduce their body weight. As expected, some of the people that participated in the study did not manage to obtain the desired results this way. Thus, they ended up receiving curcumin, which is the active ingredient that makes turmeric so special. 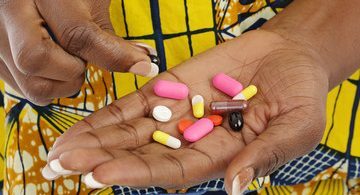 With the help of curcumin, the participants that showed the smallest degree of change started to have their BMI reduced considerably and dropped their weight in a significant manner. So, this study shows that turmeric, due to its high content of curcumin, can aid in weight loss. Turmeric has a lot of health benefits to the body. 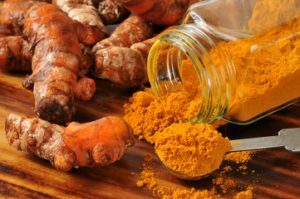 What are the health benefits of turmeric? Can turmeric help in weight loss? Yes, turmeric has a variety of benefits to the body. Turmeric will also promote thermogenesis. Thermogenesis is extremely useful when looking to lose weight, as it means that the action of our metabolism is improved and that more calories are burned to create energy. For a while now, specialists showed that thermogenesis helps in weight loss, allowing people to lose weight much faster by consuming a more significant number of calories per day. But turmeric is great not just for weight loss, but also for preventing inflammation to occur in the body. In people that are overweighed, the risk of inflammatory is more significant. And when inflammation occurs, it can lead to health conditions like diabetes, metabolic syndrome, and cardiovascular diseases. By simply consuming turmeric, the risk of inflammation is drastically reduced. This spice is a potent anti-inflammatory agent that helps overweight people find natural protection against the inflammation that can be triggered by their excess pounds. At this point, you may be interested in how to use turmeric to enjoy its benefits for weight loss. 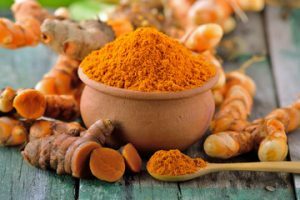 When it comes to enjoying turmeric for weight loss, there are quite a few options to choose from, so you will always have diversity at your disposal. If you like fresh turmeric roots, you can consume them just like that. Still, the results may not be that significant because you can’t eat a considerable quantity of turmeric roots. But, it is a good alternative to have in mind when your diet becomes dull. You can use fresh turmeric roots to improve the taste of your daily juices or to make a paste that you can consume in any way you like. To make turmeric paste from fresh roots, you will need the sources, 4 to 5 roots of medium size, less than one cup of water, 50 ml of olive or coconut oil that was cold pressed, and 2 to 3 teaspoons of freshly ground black pepper. If you want to take the flavor of this paste up a notch, you can add cinnamon, about one teaspoon, ginger powder, two teaspoons, or even both, depending on your personal tastes. Turmeric powder is probably the most common way to use this spice, even when it comes to weight loss. You can utilize the powder when you cook, adding it to your favorite recipes. But, to make sure that this spice delivers the best of it, you should do your best to find organic turmeric powder, so that the quality of the product is the highest. 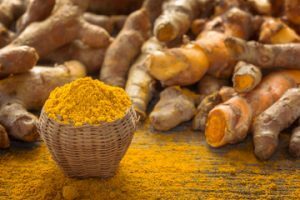 If you want to enjoy the benefits of taking turmeric, but you’re not too much into cooking, or you don’t want to use this spice so often, you can always turn to turmeric tincture. This is an efficient and comfortable manner to take your daily dose of turmeric, no matter where you are. Turmeric tincture is a concentrated form of the product, so you will only need a few drops to do the trick. You will have to take 20 to 30 drops at once, for three times each day. Also, there are turmeric supplements, which is another solution if you want to consume turmeric easily and discreetly. The supplements are great for those that are not too fond of turmeric’s flavor but would like to use it as an aid for weight loss.